Working together makes it possible to achieve more - but somebody has to make a start. 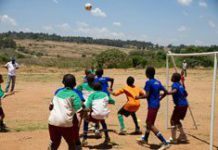 That's one of the lessons to be taken from Singcono Masisonke Football Club, which is giving the youngsters of Zandspruit informal settlement much more than just football skills. 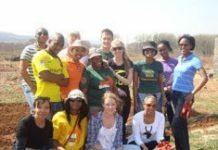 About 1.2-million South Africans spent 379-million hours on volunteer work in the 12 months ending June 2011 - the equivalent of 182 351 people working full-time at a cost (had it been remunerated work) of R7.5-billion. 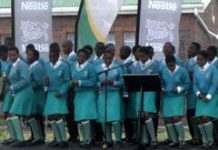 Nestle South Africa has become one of the first corporates in the country to respond to the recently launched "Adopt-a-School" campaign. 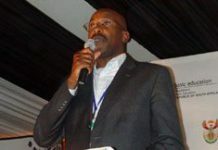 The company "adopted" Mpumelelo High School, near Estcourt in KwaZulu-Natal, at a ceremony on Tuesday. The third episode of Brand South Africa's Play Your Part TV series, featuring up-and-coming musician Brandon Phillips, community farmer Jimmy Botha, and high school with a difference The Ethembeni Enrichment Centre, broadcasts on SABC 1 at 12h30 on Sunday, 6 November. 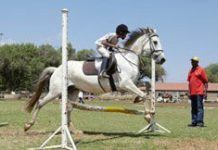 The second episode of Brand South Africa's Play Your Part TV series, featuring actress and comedienne Shimmy Isaacs, architect Mokena Makeka and showjumping pioneer Enos Mafokate, broadcasts on SABC 1 at 12h30 on Sunday. 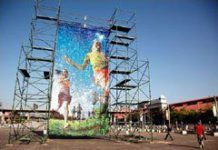 South African artists Hannelie Coetzee and Usha Seejarim, founders of the Such Initiative, are creating eco-conscious public art from waste to raise awareness about recycling. 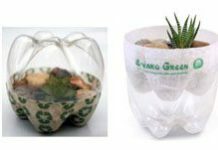 Climate change innovation is taking off in a big way in South Africa - as demonstrated by initiatives such as The Fresh Air Factory, a Durban-based community project that creates "green" products by recycling locally available materials. 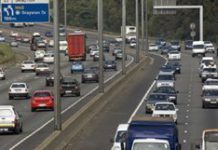 South African motorists and members of the public should report reckless driving and unroadworthy vehicles by phoning 0861 400 800, Transport Minister Sbusiso Ndebele said at the launch of this year's Transport Month campaign. 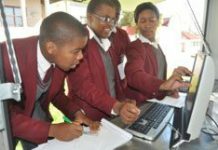 Community members braved rainy weather to gather in Butterworth in the Eastern Cape on the weekend for the national launch of the Accord on Basic Education and Partnerships with Schools campaign, which calls on businesses to "adopt" schools and donate facilities to them. 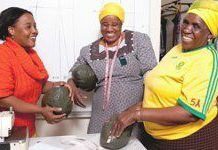 A resourceful new project called Touch Initiative is teaching unemployed seamstresses to manufacture rugby balls out of old billboards and plastic bags, thus creating jobs, helping the environment, and keeping rugby fever high.